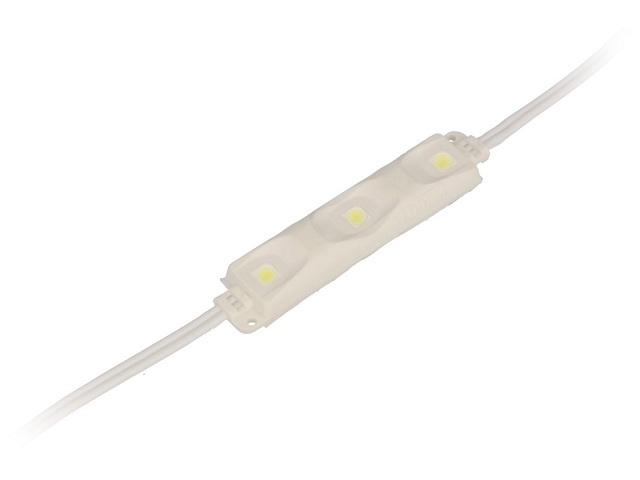 LM-SAG1-W3 is a LED module, which includes 3 white LEDs from SAMSUNG in 5050 casing. This module is powered by 12VDC, and wattage of 720mW, lighting angle 120 and a luminous flux intensity of 66lm. Thanks to the IP67 protection class, the module has a broad application – ranging from internal lighting to outdoor lighting.